Dragon Age: Inquisition is getting more single-player gameplay, and soon. On the 11th of August, The Descent will release for PC, PS4 and Xbox One, letting you engage in a giant dungeon crawl. I suppose this will give me more to do with my second play through character, although I still haven’t felt the pull back to the game. Here is a video showing off the DLC a bit. Explore the legendary Deep Roads, but ensure that you come prepared. 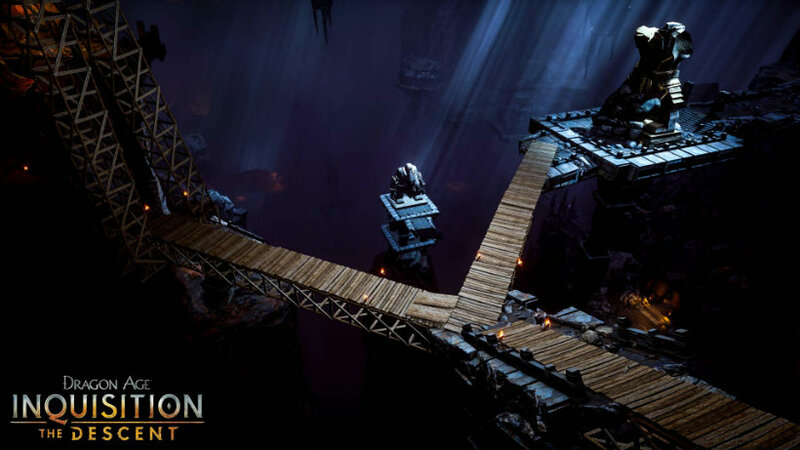 A perilous journey awaits underground, where vast, darkspawn-infested caverns will challenge the Inquisition like never before. Meet memorable new characters, learn more about dwarven history, and collect epic loot as you fight to solve one of Thedas’s greatest mysteries. Hidden danger lurks within the Stone, Inquisitor. Good luck! While I’m not totally amped to jump back into the game just yet, this does sound rather cool. Darkspawn were definitely the most interesting enemies of Thedas, and I’m curious about the dwarves history and hidden loot that could be found down there. So much of the series seems to revolve around unexplained mysteries of the Dark Roads, it would be nice to finally explore them properly and see them for myself. Sure, we had a taste of it in Dragon Age: Origins, but this could be a much more expanded experience. I might pick up all the DLC eventually, but I’m rather disappointed that my Collector’s Edition of the game doesn’t include any of the extra content. It just feels like a bad move and makes me feel ambivalent about buying the extra content, especially when none of it thus far sounds worthwhile just yet. Maybe if there’s a whole new story section, or playable character. Then I might have to pick it up. Previous article We got to play Destiny’s new PvP modes – here’s some footage!